Which Tyres Do You Need for Your Vehicle? Do you need Continental? Michelin? Avon? Firestone or perhaps a lesser known brand? 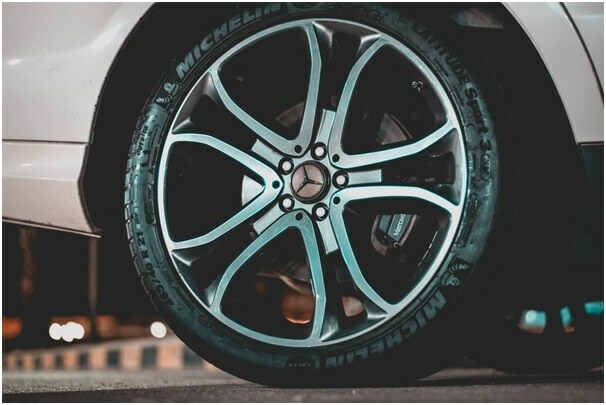 Obtaining the right make and pressure car tyres, having a specialist tyre fitting centre installation and alignment and ensuring that you can maintain grip in all weather conditions takes diligence and may present questions, which your tyre centre staff should be able to answer. Tyres are the only part of the vehicle that has direct contact with the road. Whichever tyres you have fitted, never allow the tread to go below the legal limit or the correct pressure. According to RoSPA, in 2016, 8 people were killed, and 120 people were seriously injured in accidents where illegal, defective or under-inflated tyres were a contributory factor to the accident. Please don’t become a statistic. Currently, the penalty for using illegal tyres is a fine of up to £2,500 and three penalty points for each illegal tyre. All weather car tyres should only be used when the winter temperature does not reach 5 degrees Celsius or below; that’s rare in many parts of the UK. Summer tyres deliver optimum performance, grip and steering in warm weather conditions. Excellent on wet and dry roads when the temperature is above 7 degrees Celsius. Any colder and the tyres become brittle thanks to their composition. You can lessen fuel consumption and costs by using summer car tyres. Winter tyres are highly effective at 7 degrees Celsius or lower. The greater rubber content in the tyres is to allow maximised safety and grip. Many of theUK’sdrivers switch to summer tyres in April and go to their local tyre fitting specialist in October or as the first frosts descend for winter tyres. It is not a legal requirement in the UK. It is illegal to mix tyres of a different construction, for example, cross-ply; bias belted or radial, on the same axle. Cross-ply and bias-belted tyres are not widely available in the UK. If you source cross-ply, they must never be mixed with radial tyres on the same vehicle. Part worn tyres are second hand tyres. Their lower cost can be attractive to drivers but be aware that there are rogue traders operating. Re-tread tyres are old tyres which have a solid basic structure which new rubber is added to. Each re-tread tyre must display an “e” mark. Always use a legitimate supplier and new tyres are undeniably a better option. At Thatcham Tyres and Exhausts, their focus on exceptional friendly customer service and consummate professionalism and tyre fitting skills means that clients can expect a swift and accurate turnaround. Most tyre brands are held in stock and when they’re not, the firm can have them delivered within 24 hours. Mick Jones and his team provide tyre pressure and alignment, brake, exhaust and battery services too.The staff are happy to offer customers advice based on experience. Whatever your tyre fitting requirements and queries, please don’t procrastinate, seek expert advice today.